Liquid-tight non-metallic flexible conduit of trade size 3/4-Inch, is suitable for indoor and outdoor use such as indoor lighting, water treatment systems and HVAC equipment. It has inside diameter of 0.82 - 0.84-Inch and outside diameter of 1.03 - 1.05-Inch. 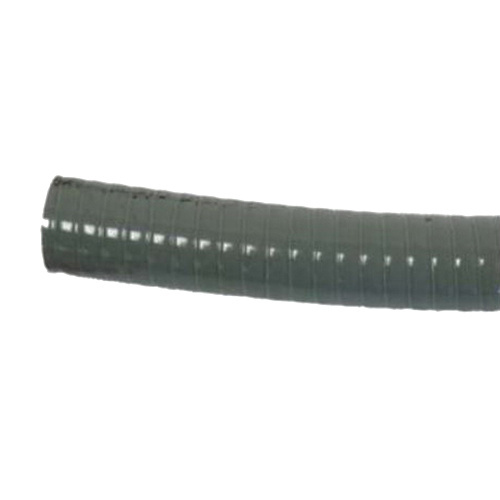 This 100-ft flexible conduit in gray color, features PVC construction to resists heat, oil and chemical breakdown. Integral bushings of conduit protect conductor insulation from damage. Conduit is UL listed.